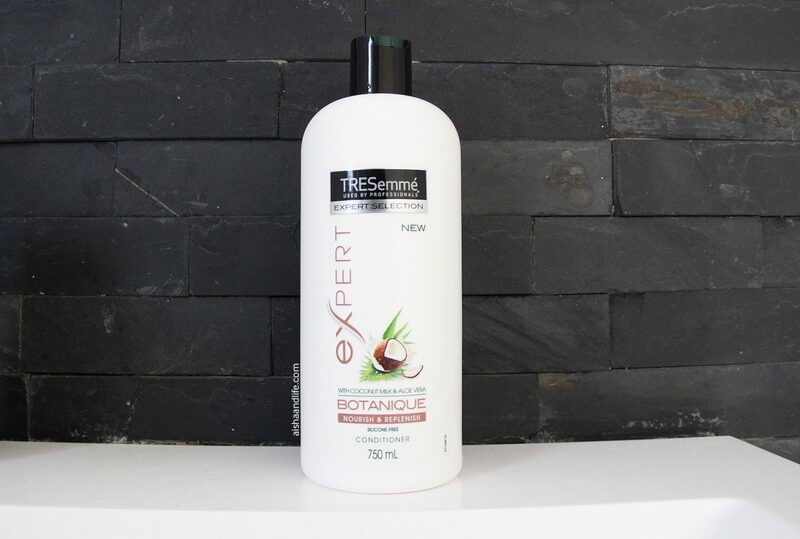 I’ll tell you why I was so excited to review this new line from TRESemmé. It was one of the first brands I used when I went natural. I used their Naturals line for years as it quickly became a staple go to, especially for co-washing. I even used it as part of my DIY Daily Spritz and I only use Tresemme on my wigs and weaves. So when they were no longer offering the Naturals line, I was pretty womp womp. Thankfully that didn’t last long because they announced they were launching with a line that offers even more good stuff. 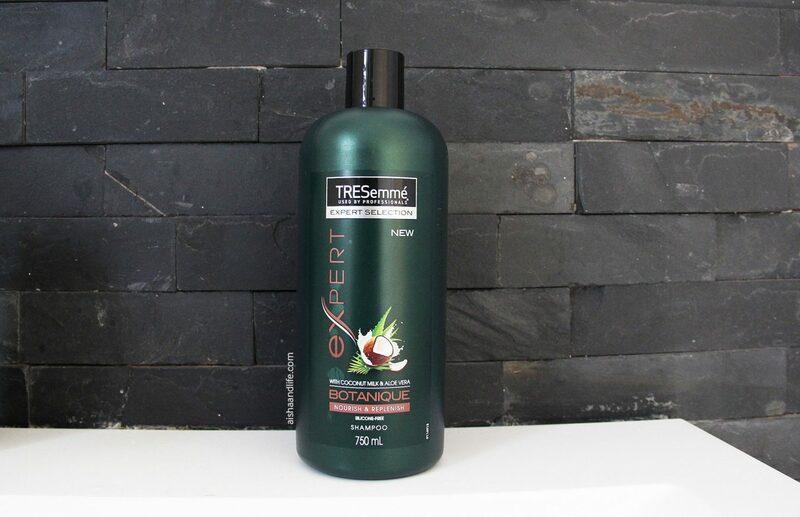 TRESemmé Botanique is free of parabens, silicones and dyes. It’s also lower in sulfates, so if you’re particular about what you use on wash day, you might want to consider this. Both the shampoo and conditioner have aloe vera and coconut milk to help soften the hair as well as nourish it from within. These are two of my staple ingredients, so I was already convinced to give it a go. As promised, Fro and I have been putting the new Botanique line through the ringer to come back to you with feedback on it. Well, I’ve joined the many other women who have sung its praises and will be singing them too. What’s great is, as this line is all about ingredients, they’ve made each of the ingredients used in the formulas easily available to us. They also break down the purpose for each of them on their website – how useful? I’ll include the link to each product’s ingredient breakdown with the ingredients (“purpose”). I still love lather, so I was still hoping to get some from this shampoo, even though the formula consists of lower sulfates than their regular shampoo. I’ve used many other shampoos with lower sulphates but most of them don’t lather enough. Like I said, I love lather! Well, this didn’t disappoint. A little bit goes a long way and this shampoo removes product build up in a gentle way. My hair’s kinks and coils popped right back after my extensive product use and left it feeling soft, springy and most importantly, more moisturised than I expected. I sometimes feel like normal conditioners just don’t give my hair that much in terms of conditioning that I prefer to just use a deep conditioner right after shampooing and leave the regular conditioners for co-washing. I’ve used this conditioner as a…conditioner (hehe) as well as a co-wash. And it does well as both. It’s a thick, creamy consistency that has good slip so I applied it on my hair easily. My favourite part about it is that it helped to detangle my hair. I know the label doesn’t call for it but I found it easy to finger detangle my hair with it on. I’d leave it on for a couple of minutes – even without a shower cap on and my hair was soft and bouncy after rinsing. It also has a tropical scent, much more coconuty than the shampoo, which I love. I do still prefer it as a co-wash though and would love for a deep conditioner for this line to be available. At R79.99 a bottle, I find it hard to beat the value you get for such a big bottle of 750ml. I’m really glad they’re offering a line that’s friendly and readily available for naturals. My only gripe is that their treatment mask and hydrating mist aren’t currently available in SA. I’d love to have the entire collection. 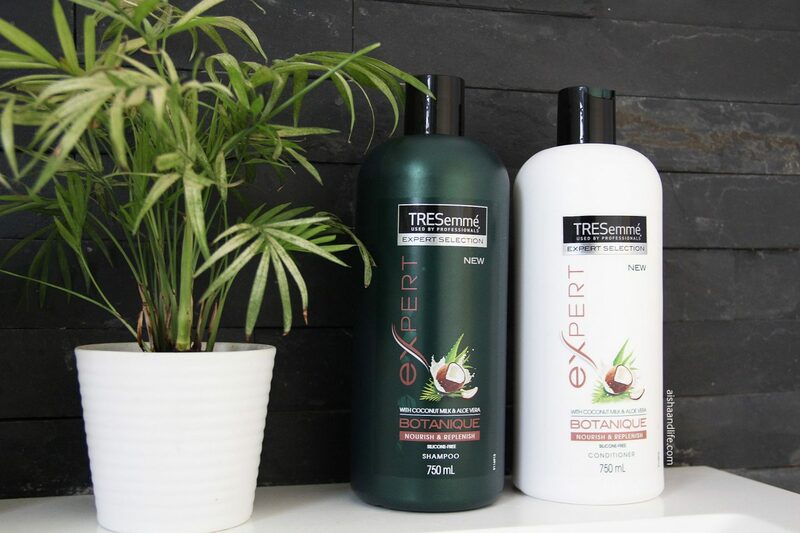 You can get TRESemmé Botanique from Clicks, Dischem and other leading retail stores across the country. *This post was sponsored by TRESemmé South Africa. Wow thanks for this! I’m keen to try it as soon as I remove my protective styling! The price is really affordable! And if you say it works! I believe you sista!!!!! Will let you know how my hair likes it as soon as I have tried it. Lol, I hope it works for you as it does for me. I love using it as a co-wash. Let me know how it works! I have also tried the products, but however I wasn’t to satisfied with the smell, though I loved their previous Aloe natural care range, which gave my hair a fresh and clean smell. Any suggestions on how to get away with still using the product, but having to cover the smell. Yes dzwarling yes! I have been peeping this relaunch for a while and Just told myself to wait for your review. Literally only 3 brands of conditioners work well on my hair and I’m big on being able to use my regular conditioners as deep conditioners as well so I’ll most definately give these a try when i can get my hands on a bottle or two. Thanks for the review. Been a while since I’ve been around these here parts. at least I’ll have something to read during the holidays. Lol Mvumikazi, did you really wait for my review? That’s so cool if you did hon!